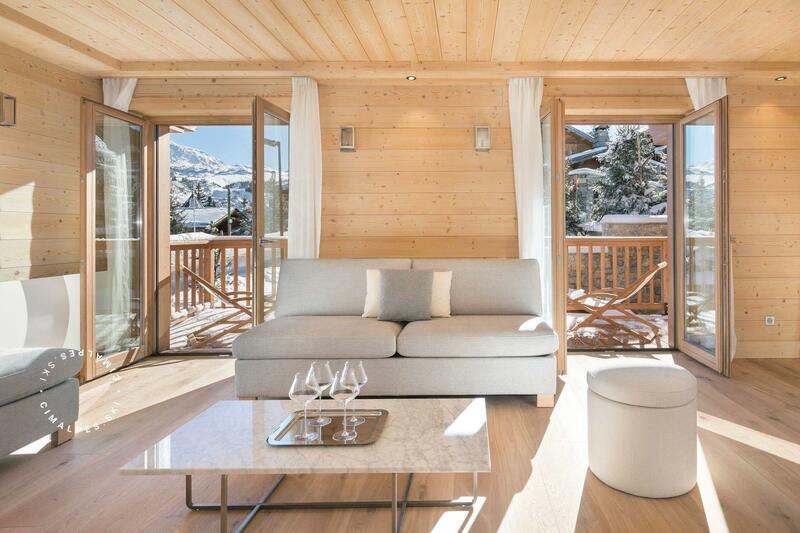 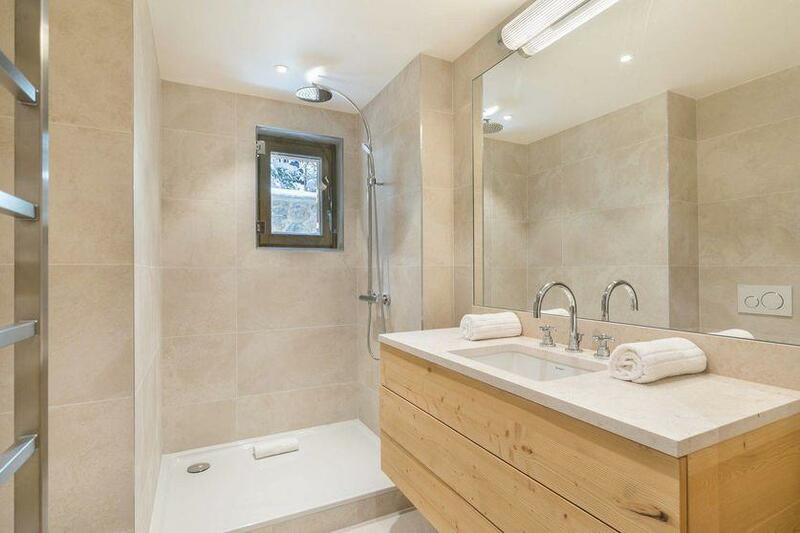 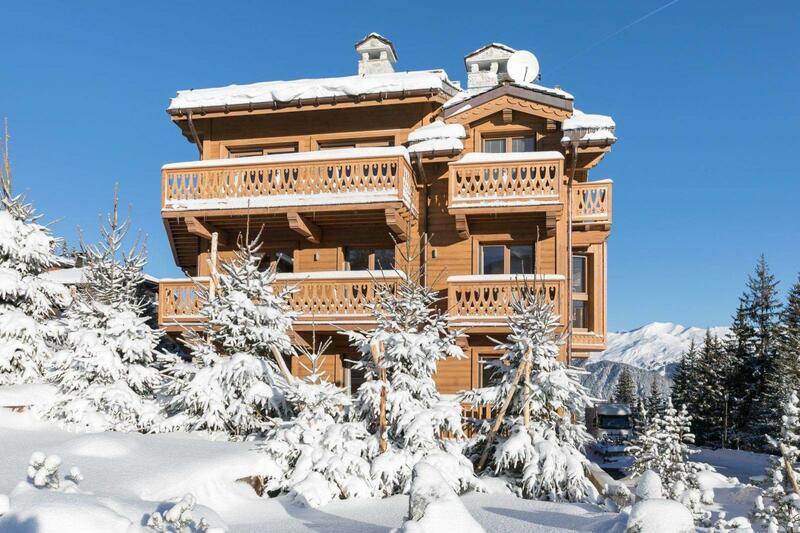 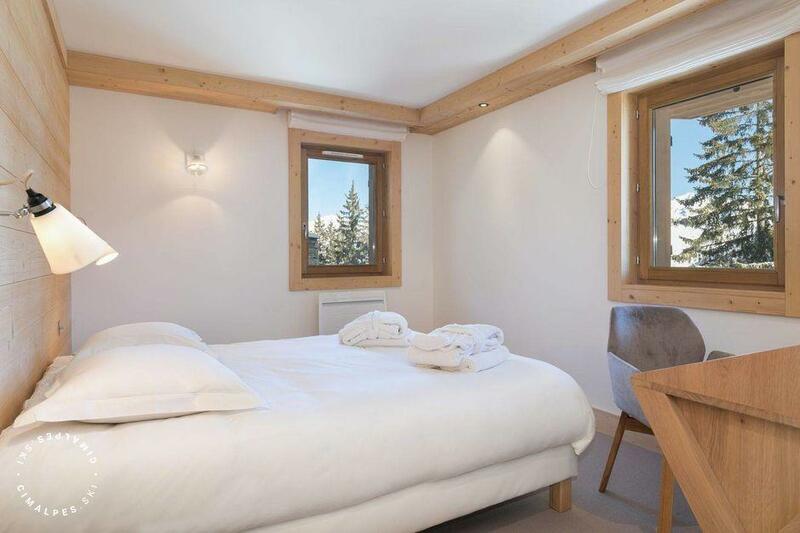 Discover the apartment Gelinotte 2 in Courchevel 1850 in the hamlet of Bellecôte. 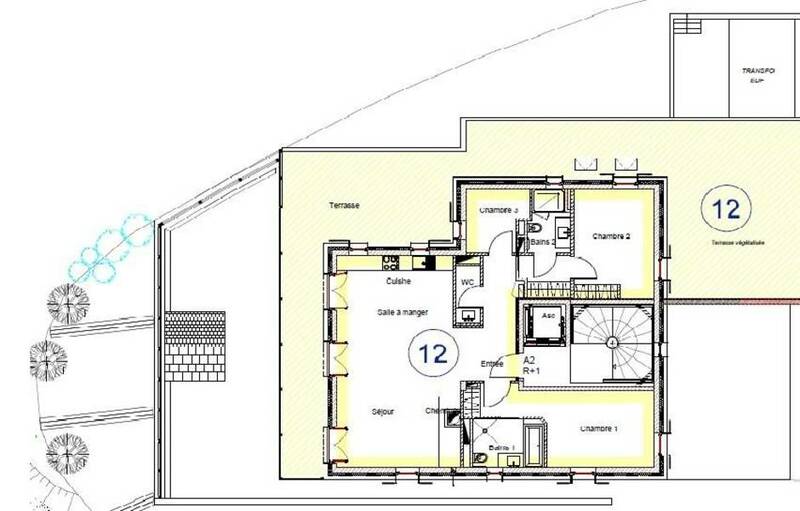 This 110m² apartment can accommodate up to 6 people. Thanks to its balcony, you will be able to contemplate from its main room the magnificent view over the snowy mountains. 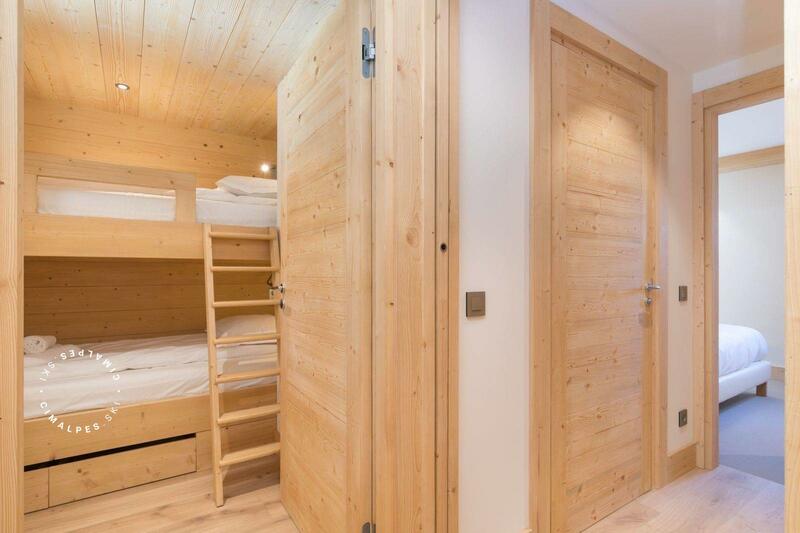 This bright apartment has 3 bedrooms, 2 double bedrooms and 1 bedroom with a bunk bed where two children can sleep. 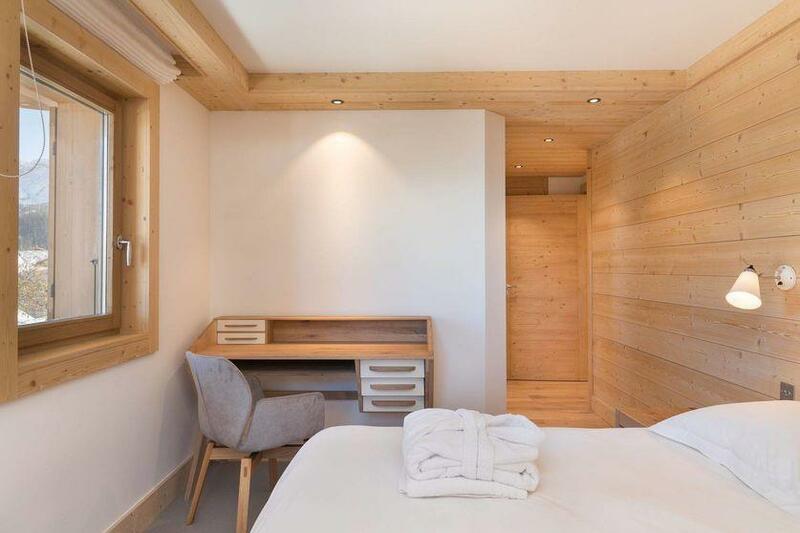 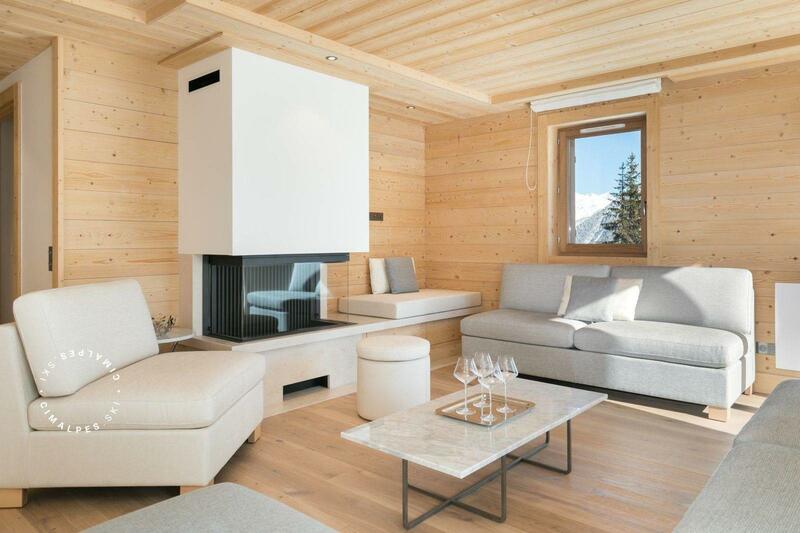 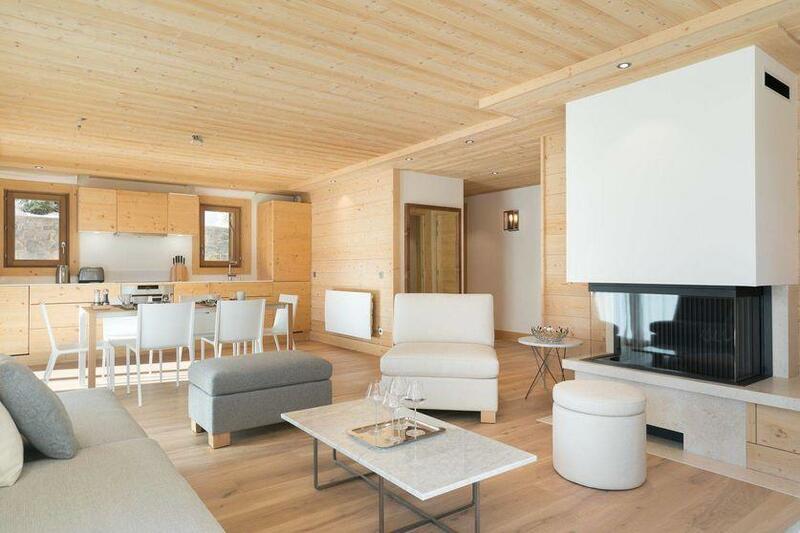 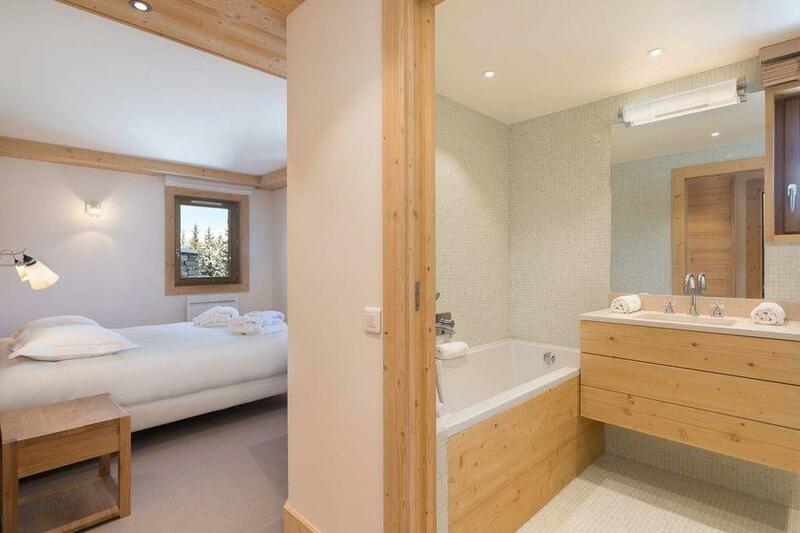 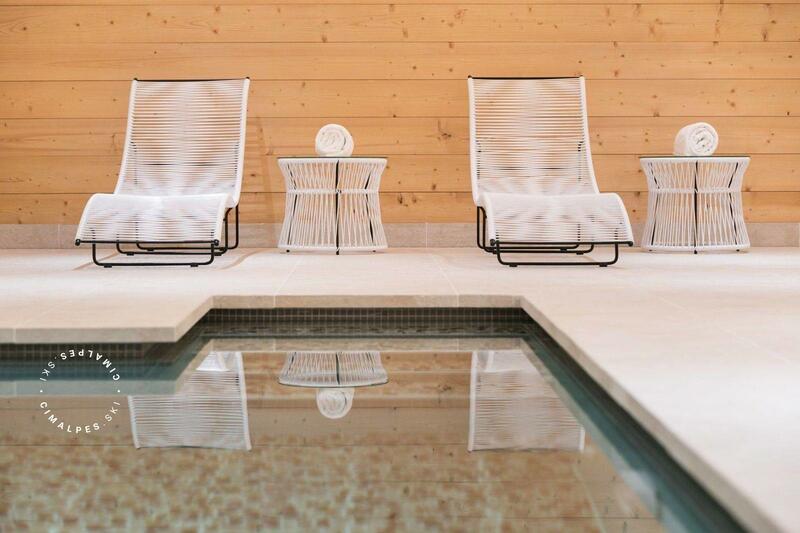 The Gelinotte 2 apartment is located at the first floor of the Gelinotte Chalet, you'll find at the -1 floor a swimming pool, a TV room and a ski room to share with the 3 other apartments of the chalet. 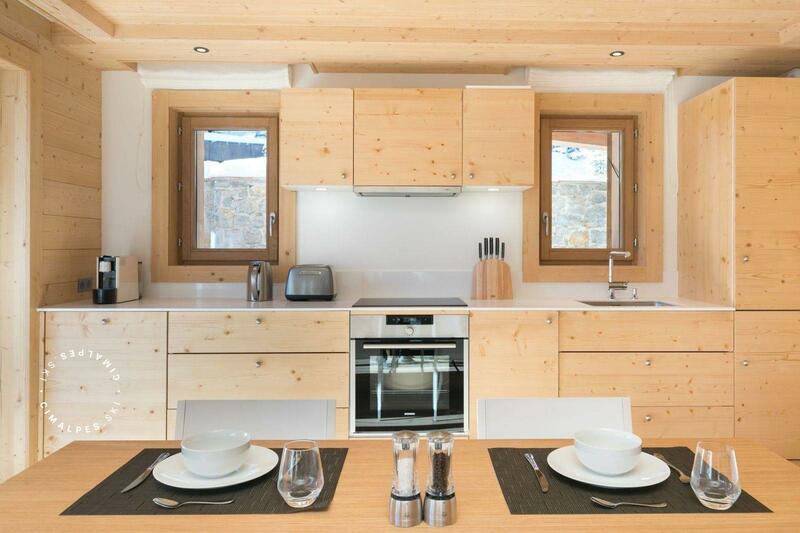 In Chalet Gelinotte you will find in the basement; a common area at the 4 apartments of the chalet. 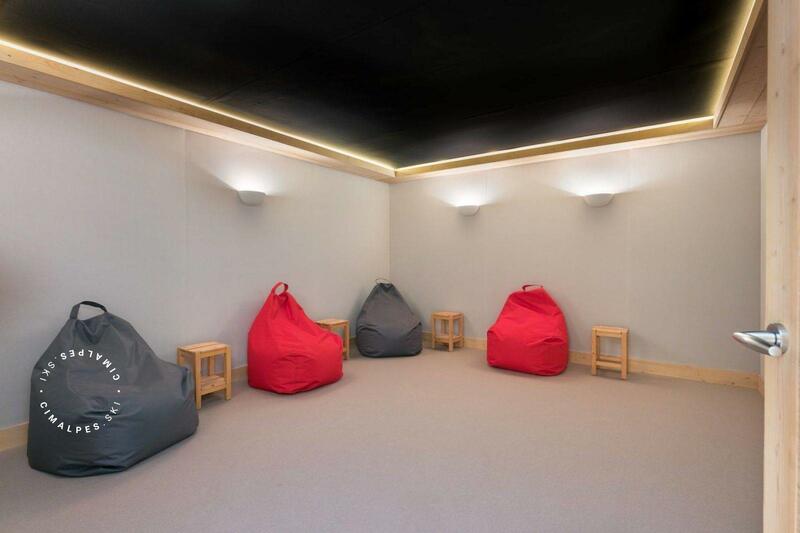 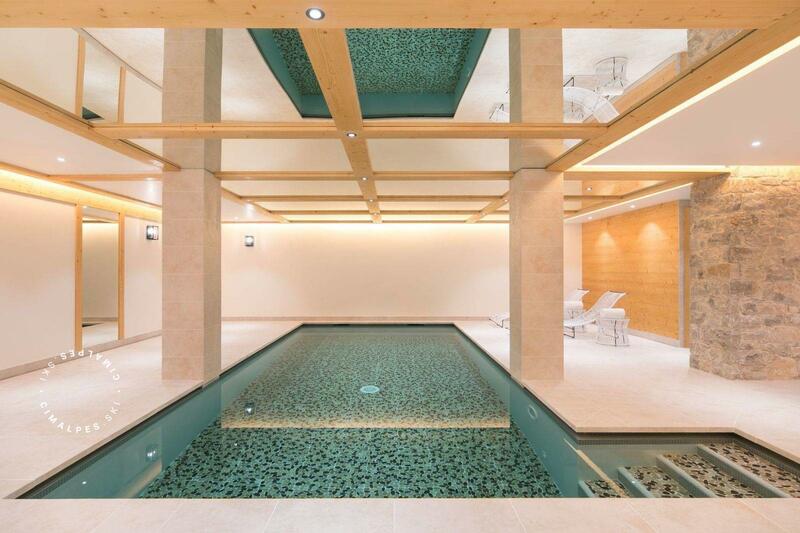 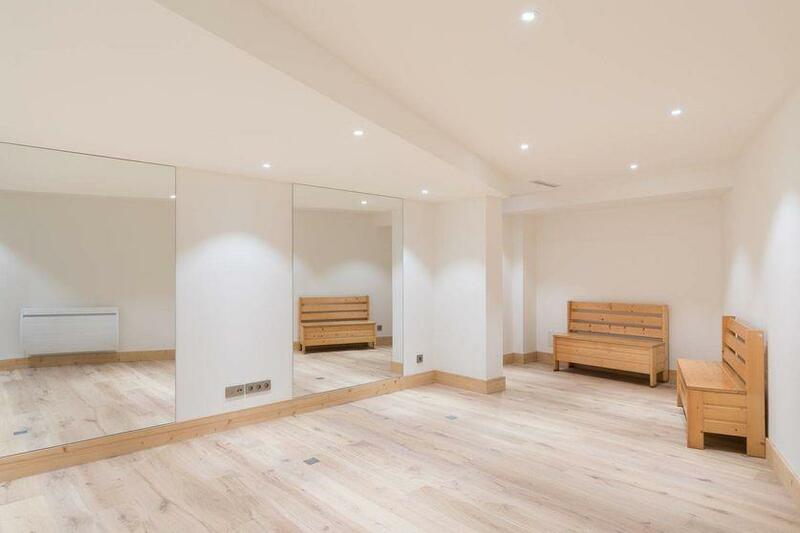 This space contains a swimming pool, a video room, a ski room, and a laundry room. 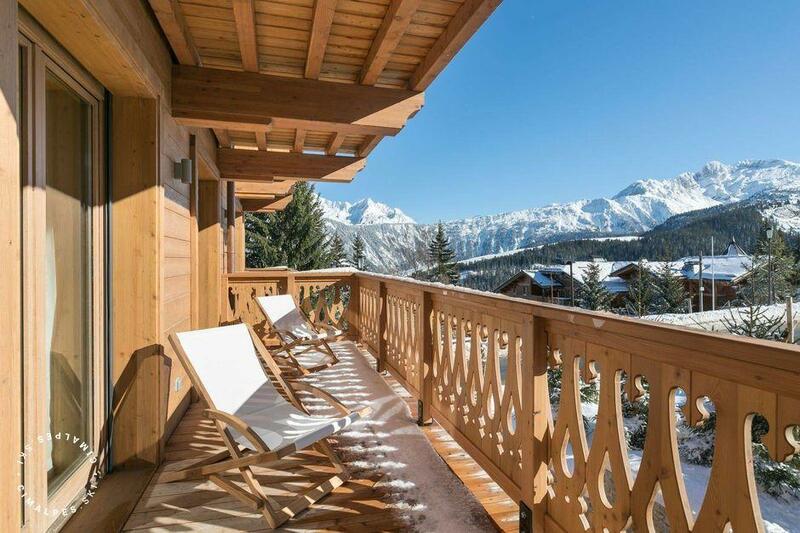 The apartment Gelinotte 2 is on the 1st floor of Chalet Gelinotte, its balcony offers a magnificent view over the mountains.